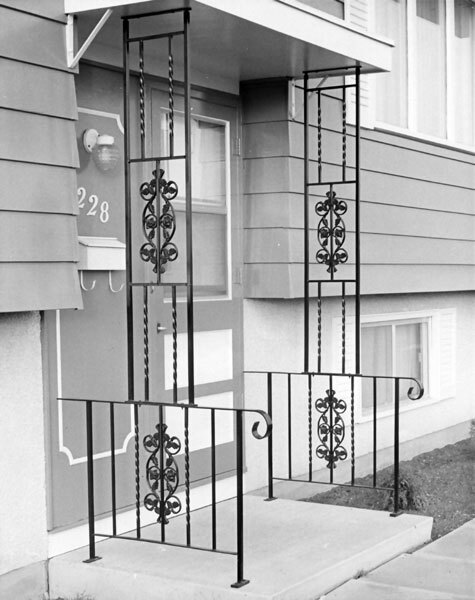 Artistic Iron Works in, Regina, Saskatchewan, Canada is a supplier of easy to assemble, do-it-yourself steel and wrought iron railings for existing steps. 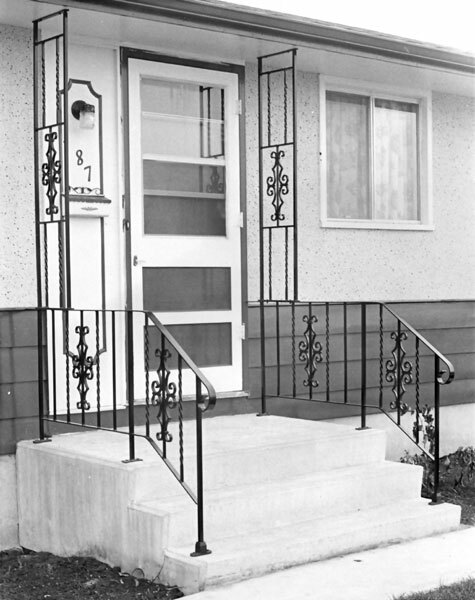 Artistic Iron Works in, Regina, Saskatchewan, Canada is a supplier of easy to assemble, do-it-yourself steel and wrought iron railings for existing steps. 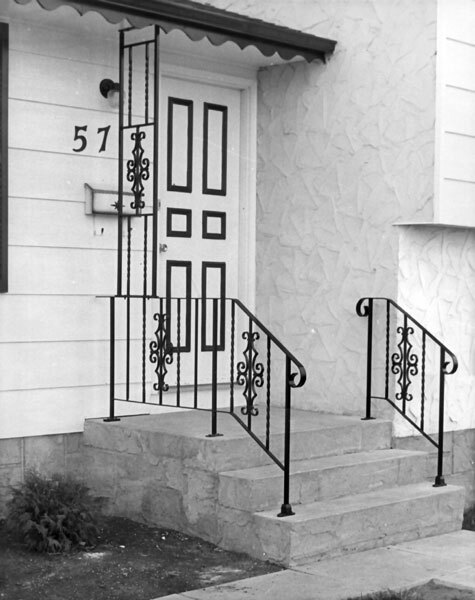 ARTISTIC HALF COLUMNS fit between the railing and eave (See Photo) and have a telescopic top. You must remove the top of the column and cut it to the proper length. There are 12 different lengths of columns. 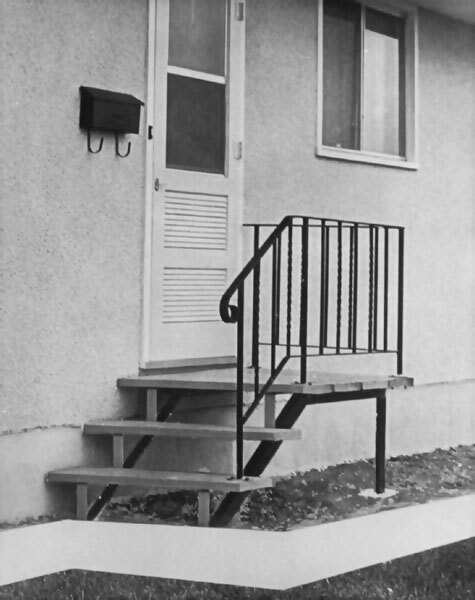 Step landing to eave measurement ("E" in picture) may be between 84 and 150 inches. 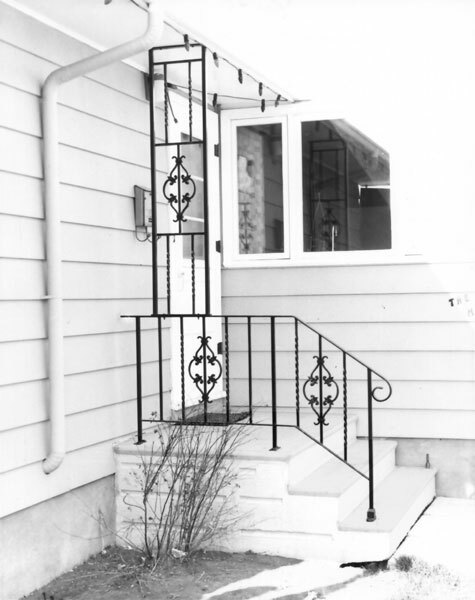 These columns are 14 inches wide and are built to take one ARTISTIC DESIGN. All half columns are the same price. 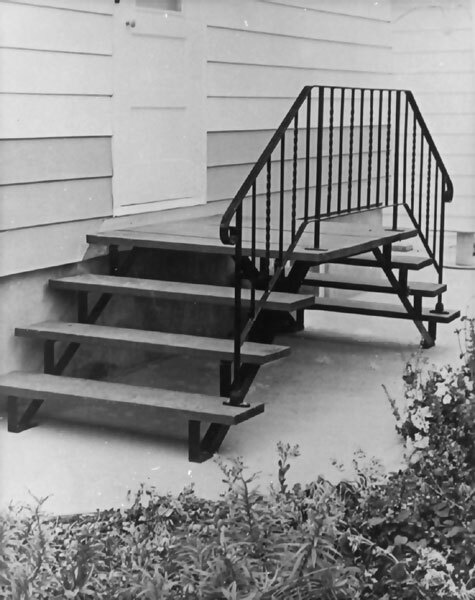 TO ORDER a half column give total measurement from step landing to eave. Design, Freight & Taxes extra. ARTISTIC has 6 bolt on designs to choose from. These designs are numbered P1 to P9. 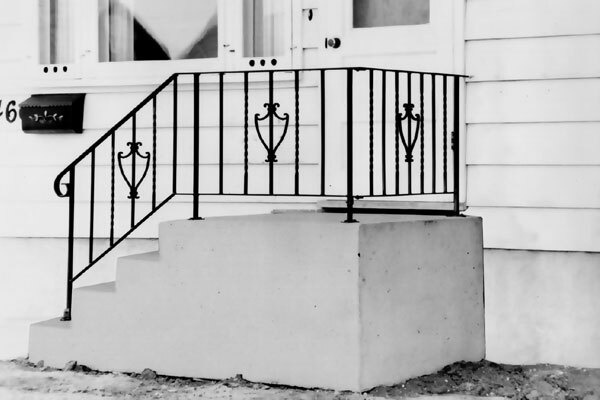 Railings with landings 12 to 24" require one design (EG: 3R12-36). 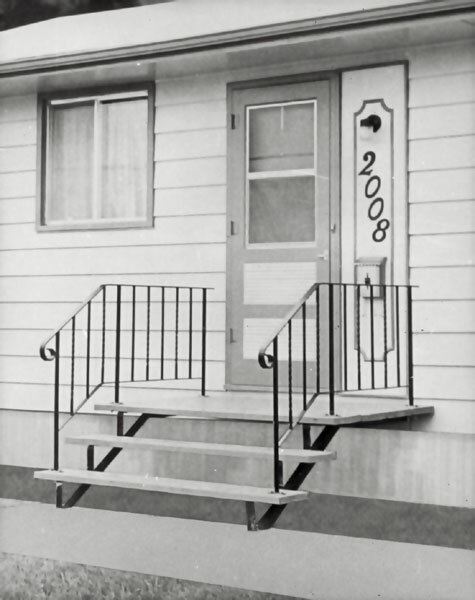 Railings with landings 30 to 72" require two designs (EG: 6R72-36). 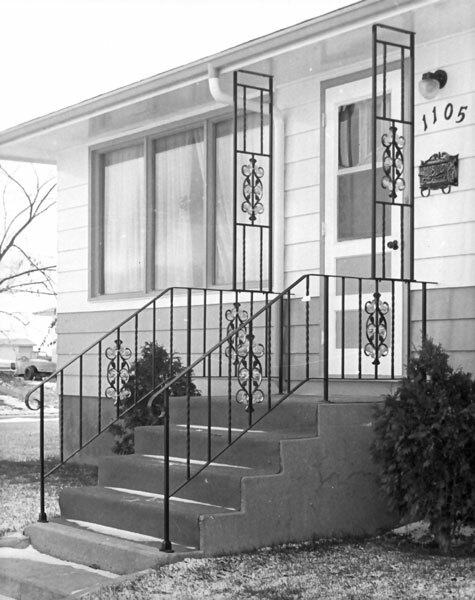 Cross rails and half columns require one design each.